On this day in 1959, Philadelphians Len Matthews and Marvin "Candy" McFarland made the 90-minute trip to New York City to clash in a 10-round nationally televised fight at Madison Square Garden. Both boxers entered the ring with good records. Matthews was 18-2-1 (12 KOs), while McFarland was 15-2-1 (3 KOs). However it was Matthews who was considered the better fighter and more promising prospect, despite his recent TKO loss to Carlos Ortiz a few months before. McFarland came into the Garden bout intent on surpassing his Philly rival. But this was not to be. Matthews sparkled in the fight. 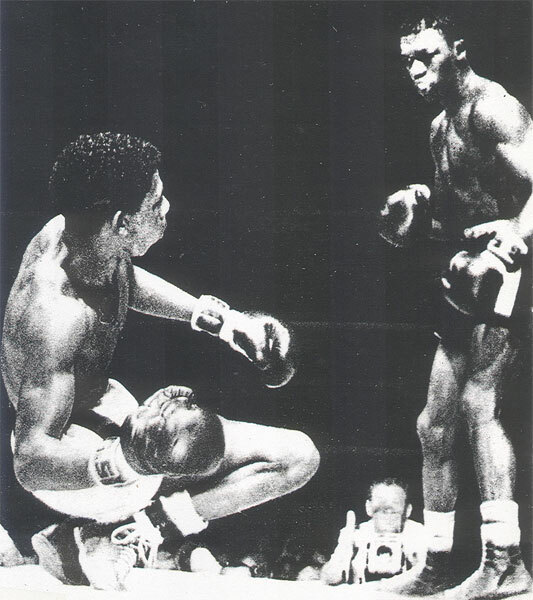 He out-boxed, out-worked and out-punched the Candy Man the whole way, while McFarland talked trash throughout. "All the time he talked to me," Matthews said. "Sometimes he said nasty things!". Matthews' speed and power dominated the action, piling up the points and jarring his opponent from every angle. In the tenth and final round a Matthews left hook dropped McFarland for the only knockdown of the bout. In the end, on this night, West Philly topped North Philly with Matthews winning a wide-margin unanimous decision by scores of 9 rounds to 1, 8-2, and 6-3-1.